The Kildare Outlet Store has become quite an institution for shoppers and visitors alike. The outlet village boasts over 900 boutiques from leading designers and labels. Offering items from the previous season’s fashion range they can give discounts of up to 60%. The brands in the Kildare Outlet store range from Ralph Lauren and Tommy Hilfiger to DKNY. The landscaped grounds of the village are conducive to a pleasant days shopping. There are cafes and restaurants where you can also take some time out, to discuss your finds or plan what shops to hit next. For 70 years, Newbridge Silverware has been designing and producing quality giftware and tableware. The evolution of the Newbridge Silverware brand from that which was associated with cutlery to a premier name in the design and manufacture of quality jewellery and lifestyle products is indeed remarkable and today the brand is widely regarded as Ireland’s premier giftware brand. Renovated and extended to include a Christmas room, Home Emporium, Jewellery Zone and interior idea focal points, the Newbridge Silverware showrooms provide the most dynamic shopping experience, where customers can enjoy a Mecca of style ideas for their home and personal style. 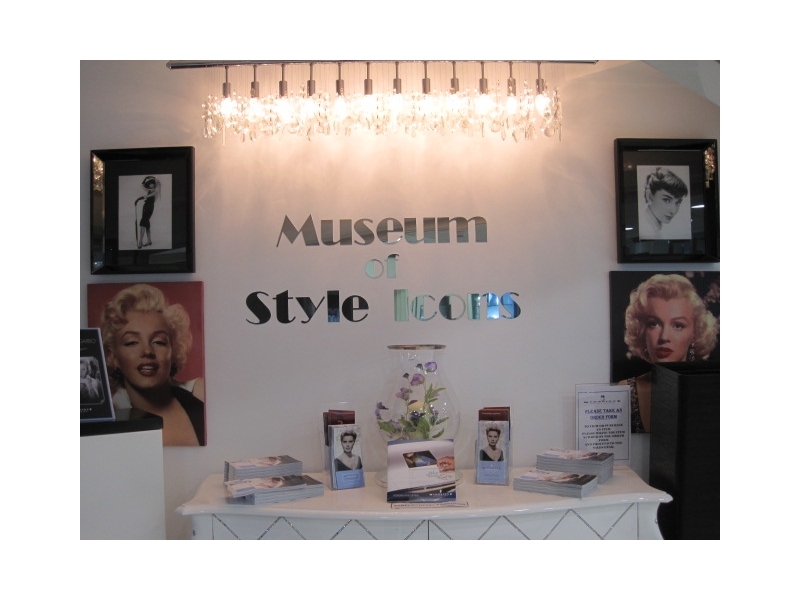 In keeping with Newbridge Silverware`s commitment to style and design the company have recently opened a splendid new Museum dedicated to legendary Style Icons. 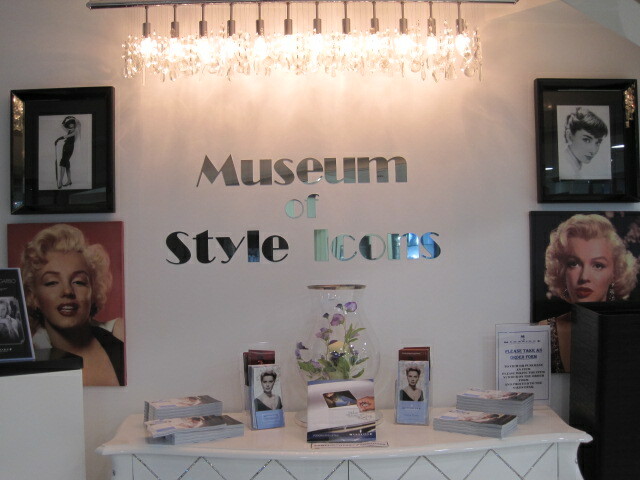 Located onsite at the Newbridge Silverware Visitor centre, the Museum of Style Icons has guaranteed that a visit to Newbridge Silverware will be truly memorable The Museum features signature pieces from Irelands most notable designers and showcases artefacts associated with some of the most legendary Stars of the Silver screen including Audrey Hepburn, Marilyn Monroe, Bette Davis, Gloria Swanson, Barbara Streisand, Julie Andrews, Vivien Leigh, Elizabeth Taylor, Gloria Swanson, Jean Simmons & Sarah Jessica Parker. The Irish National Stud belongs to the people of Ireland but prides itself on being enjoyed and appreciated by visitors from all parts of the globe. Nowhere better symbolises all that is great about County Kildare, the beating heart of Ireland's thoroughbred industry, than the stud, a unique attraction of outstanding natural beauty that is home to some of the most magnificent horses and sumptuous gardens to be found anywhere in the world. From horses to horticulture, the Irish National Stud offers you a unique experience that can be enjoyed at your own leisure or as part of a guided tour. Come to the Stud and share with us one of Ireland's true treasures. The Irish National Stud's Japanese Gardens, renowned throughout the world and the finest of their kind in Europe, are far more than simply a treat for the eye. They also provide comfort to the soul, achieving exactly the objective that was set out when the gardens were created between 1906 and 1910. Among the most loved of all Ireland's gardens, the Irish National Stud's Japanese Gardens are a veritable feast for the eye and ear with the sight and sound of trickling streams perfectly complementing the greenery and vivid colours that provide a tranquil backdrop to the beautiful Bridge of Life and Tea House. The Japanese Gardens are a place for contemplation, meditation and reflection. Since they were first enjoyed more than 100 years ago, they have never failed to please. Ireland's premier international horse racing venue staging 19 meetings from March to October including all 5 Irish classic races highlighted by the Irish Derby Festival in June.